Blog The Spooks will be out in Elliotborough-Cannonborough! 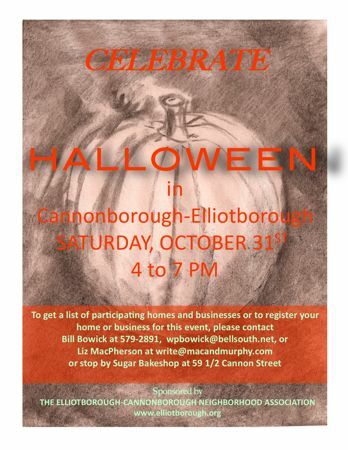 The Spooks will be out in Elliotborough-Cannonborough! What is the best thing about trick or treating in Cannonborough? The shops along Cannon and Spring Streets will stay open for all the little goblins and ghouls roaming the Peninsula this Halloween. 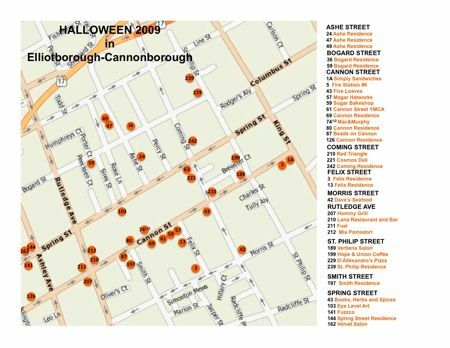 Stroll Cannonborough – Elliotborough from 4:00 to 7:00 PM where more than 40 participating homes and businesses will provide the treats. Pop into mac & murphy or Sugar Bakeshop and then onto the dozens of other businesses and residences in this great live work corridor. Be sure to dress to impress and come play in Cannonborough – Elliotborough. There’s no trick but a great treat findingmac & murphy at 72 1/2 Cannon Street just a few short blocks off Upper King Street in historic downtown Charleston.